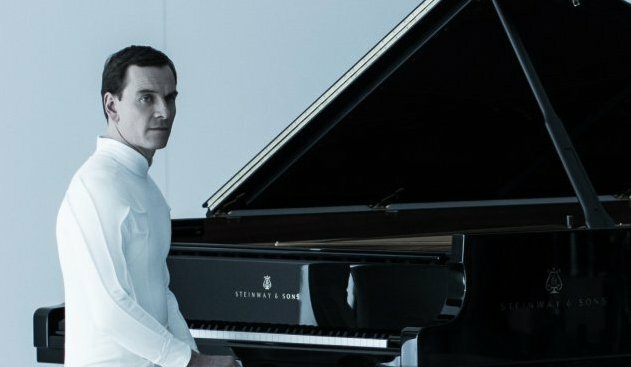 Piano android: Michael Fässbender in Alien: Covenant. Photo © 2017 20th Century Fox. The search for the meaning of mankind's existence may have inspired the creation of that greatest of operatic works, Wagner's Der Ring des Nibelungen. It also is a central thread of Alien: Covenant, the new film in the Alien franchise that serves as a sequel to the 2012 Prometheus and as a lead-in to the original 1979 horror classic Alien. Unexpectedly, it starts with...Wagner. 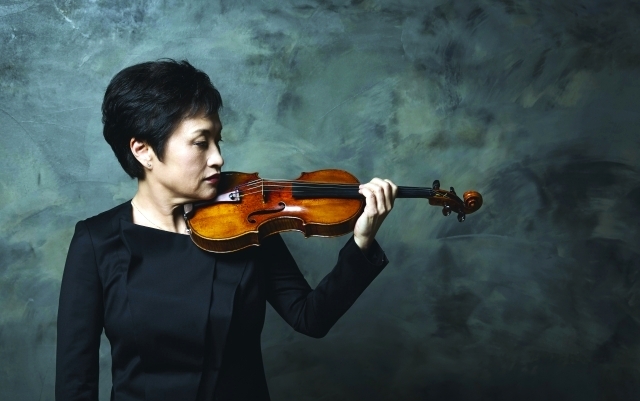 Mountan ear: Kyung-Wha Chung and friend. Photo from ICA courtesy International Classical Artists. When Johann Sebastian Bach, a superb violinist, wrote the six Sonatas and Partitas for Solo Violin, he intended for these works to be an instructional tool, a manual to challenge students and further their abilities on the stringed instrument. It was not until the 19th century (when the works were first published) and the rise of the string virtuoso that playing all six works, in a public recital became a challenge that appealed to every violinist looking to establish or further their reputation. Yannick Nézet-Séguin hire is the best thing about the Met season. 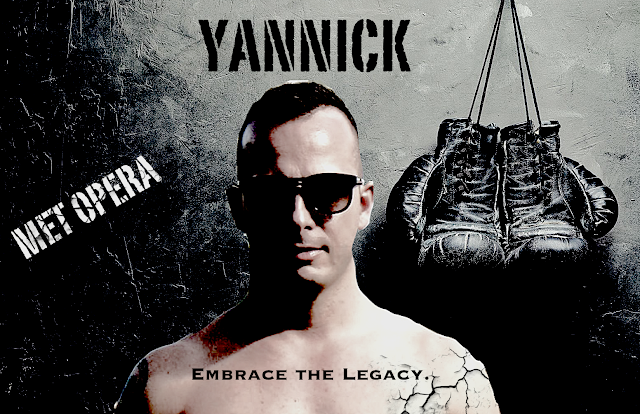 Gloves off: Yannick Nézet-Séguin is the new "creed" at the Met. The Metropolitan Opera bounced back this year, delivering an artistically satisfying season that nonetheless failed to set the box office on fire. 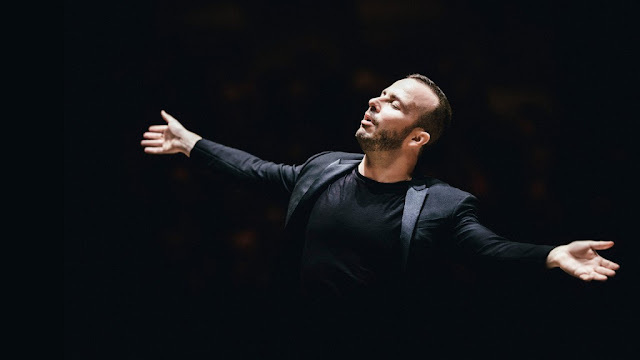 The biggest news though is the long-awaited end of the James Levine era, as conductor Yannick Nézet-Séguin has been tapped as the company's new music director. Mr. Nézet-Séguin's term does not start until the end of this decade but he brings something new to this massive opera operation: hope. Here's the wrap-up of the season, in which your not-so-humble critic saw twenty performances of twenty different operas. Superconductor, which relies on the generosity of press tickets from arts organizations in order to operate, still does not receive them from the Metropolitan Opera. Hopefully that will change. The triumphant New York return of Australia's greatest band. 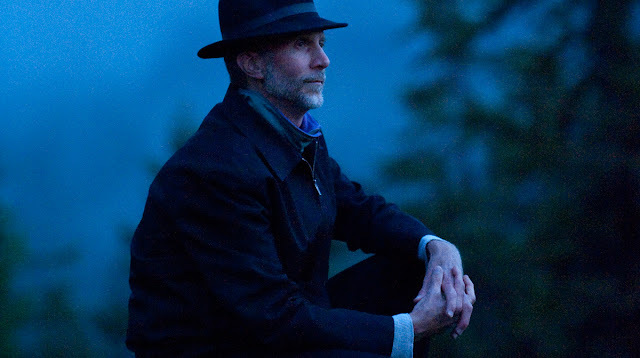 In the valley he walks: Midnight Oil's Peter Garrett. If you're a reader expecting today's edition of Superconductor to be a roundup of the recently ended Metropolitan Opera season or a CD review, this is not that column. (Rest assured, those are coming.) No I'm here to talk about Saturday night at Webster Hall and the first Midnight Oil show in New York show since the band’s 2002 tour supporting their last record, Capricornia. 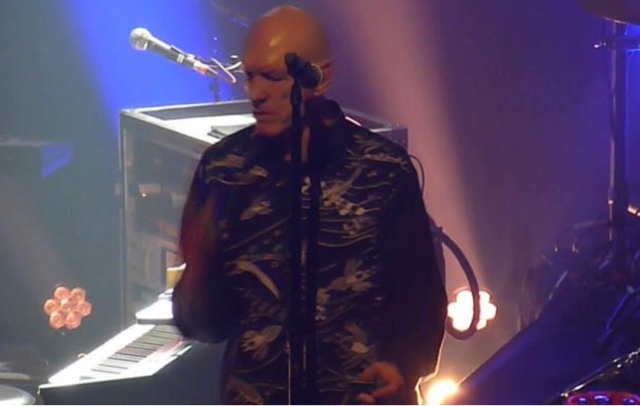 Since then, “The Oils” have been on hiatus, as lead singer and political firebrand Peter Garrett served in the Parliament of the bands native Australia, putting his energies into politics instead of rock and roll. 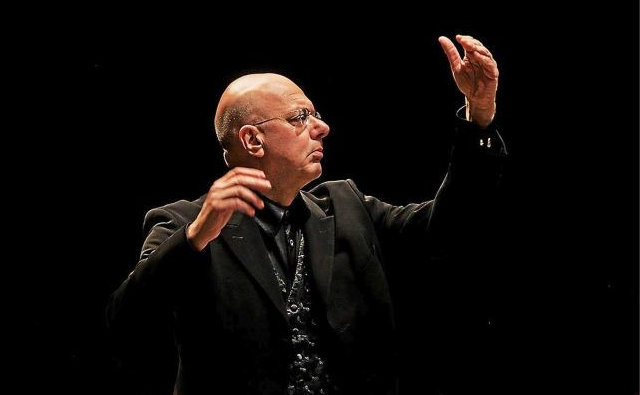 Leon Botstein wrestles Elgar's The Apostles. Leon Botstein. Photo by Kallaher for Bard College. It is never a good idea to follow in the footsteps of Richard Wagner. That truism could easily be applied to Edward Elgar's long-neglected oratorio The Apostles. Elgar conceived The Apostles as the first part of a planned trilogy of stage works based on the New Testament, following a visit to Bayreuth in 1902. However, this piece, played at Carnegie Hall on Friday night by Leon Botstein and the American Symphony Orchestra, is problematic at best. On Site Opera puts on Mozart in a community garden. 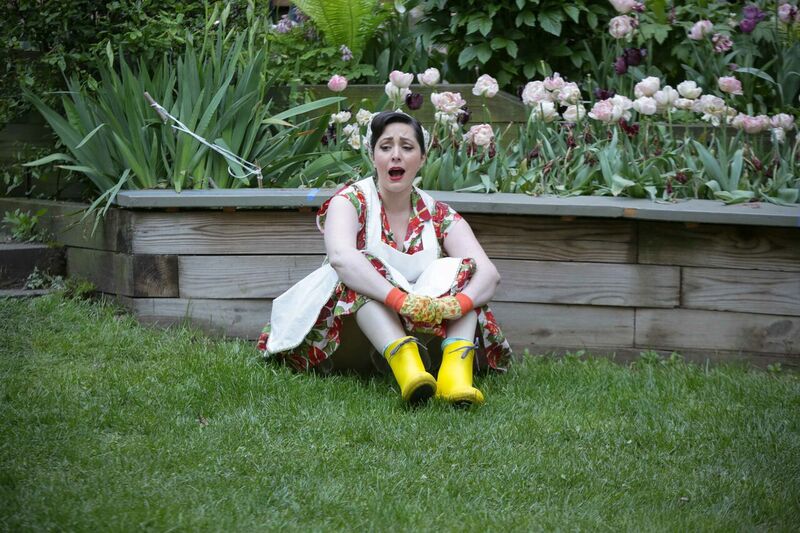 Gardening at night: Ashley Fox is Lady Violet in Mozart's The Secret Gardiner. Photo by Fay Fox courtesy Unison Media. On Site Opera has built its reputation by staging unusual works in some decidedly odd locations around New York. 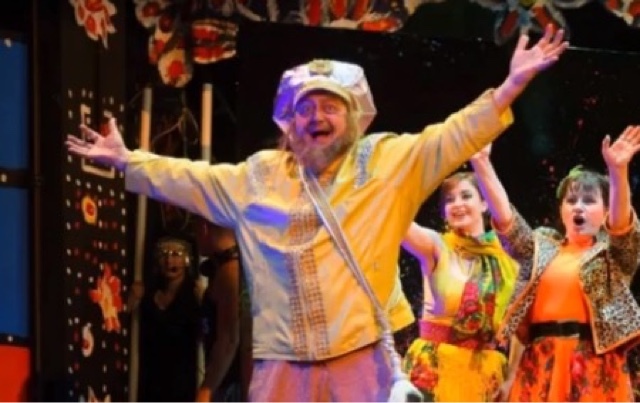 On Thursday night, Eric Einhorn's little opera company invaded the West Side Community Garden for the first of three performances of The Secret Gardener. A co-production with Atlanta Opera, this is an adaptation of Mozart's opera La Finta Gardeniera, written for the Munich stage when the composer was just 18. It is one of his important early opera buffa, and its rapid succession of arias and ensembles (there is no chorus) hints at the brilliance that was to come. Yannick Nézet-Séguin is riding high as the 2016-17 season gallops to a close. The French-Canadian conductor is in the middle of his first New York Wagner run, leading Der fliegende Holländer at the Metropolitan Opera, where he is scheduled to become the company's next music director in the 2020 season. On Tuesday night, Mr. Nézet-Séguin returned to his other job, leading the Philadelphia Orchestra in the last of their spring concerts at Carnegie Hall. 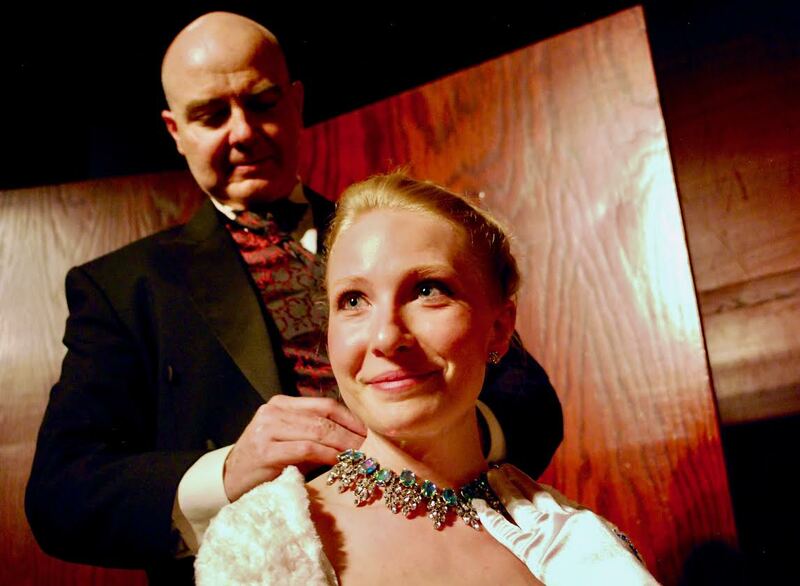 Utopia Opera digs up The Ballad of Baby Doe. 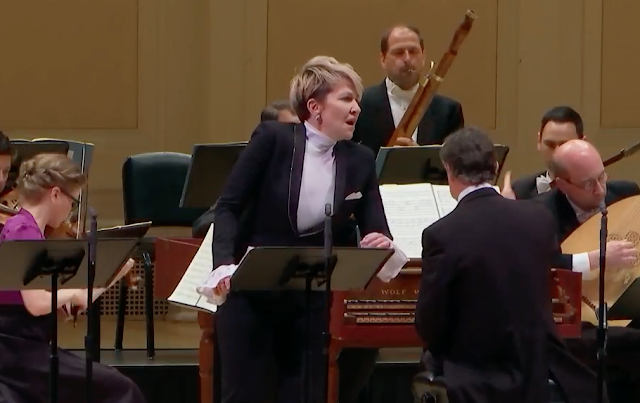 Sometimes an opera is so closely connected to a particular singer that their retirement causes it to vanish from the stage. That's what happened to Douglas Moore's The Ballad of Baby Doe, which vanished from the New York City Opera when soprano Beverly Sills left the stage for a management role with the company. This month, the small and scrappy Utopia Opera company is mounting Baby Doe at Hunter College with two casts, trying to prove that this is more than just a one-diva opera. The spare production by Gary Slavin was mounted in the Lang Recital Hall at Hunter College. It uses title cards and four chairs on a bare stage, all to good effect. 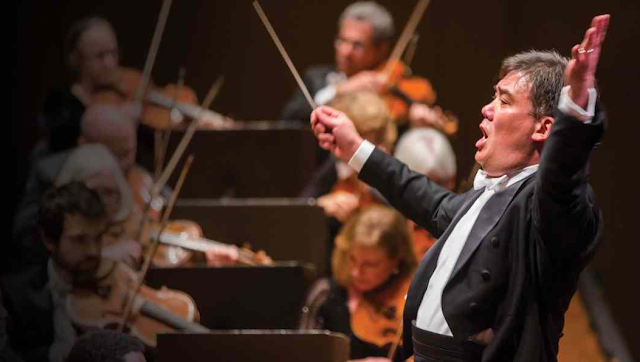 Alan Gilbert conducts Beethoven and Schoenberg. Alan Gilbert at the helm of the New York Philharmonic. Since its beginnings in 2009, Alan Gilbert's tenure at the helm of the New York Philharmonic has been characterized by bold programming initiatives and a strength in the music of the 20th century. However, there have been mixed results with works of the core repertory of the 19th century, particularly in the symphonies of Beethoven. On Friday night, with his tenure nearing its end, Mr. Gilbert showed mastery of that most knotty of Beethoven symphonies: the No. 9 in D minor. 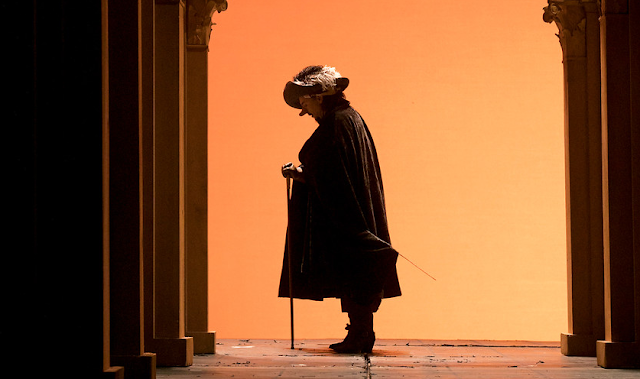 The Met ends its season with Cyrano de Bergerac. The rapier wit: Roberto Alagna as Cyrano de Bergerac. In the closing month of the Metropolitan Opera season, the company's renaissance of French opera is in full swing. The reason: the company's first revival of its 2005 production of Cyrano de Bergerac, with Roberto Alagna as the swashbuckling swordsman whose enormous nose arrives 15 minutes before he does. Mr. Alagna is a proven star, but Cyrano is an unknown opera. Written by Franco Alfano (himself best remembered as the unlucky soul assigned to complete Puccini's Turandot) it had the misfortune to debut in 1936, as the clouds of World War II gathered and people didn't seem that interested in opera. Esa-Pekka Salonen conducts the New York Philharmonic. Esa-Pekka Salonen. Photo by Silvia Lelli for the Salzburg Festival. 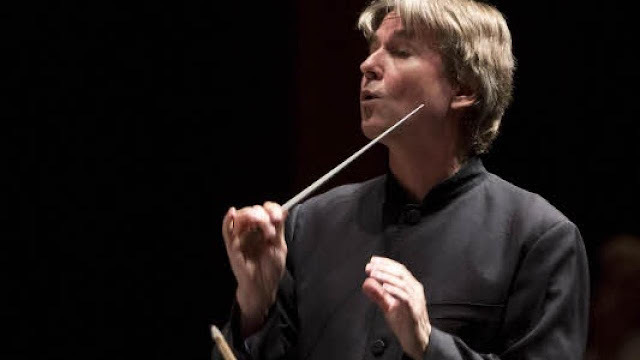 When the New York Philharmonic went through the torturous process of choosing a music director to replace Alan Gilbert, the Finnish composer and conductor Esa-Pekka Salonen was very near the top of the list. On Saturday night, Mr. Salonen, who is the orchestra’s current composer-in-residence, led the last of three concerts this week featuring a new horn concerto by Tansy Davies, flanked by the music of Stravinsky and Richard Strauss.